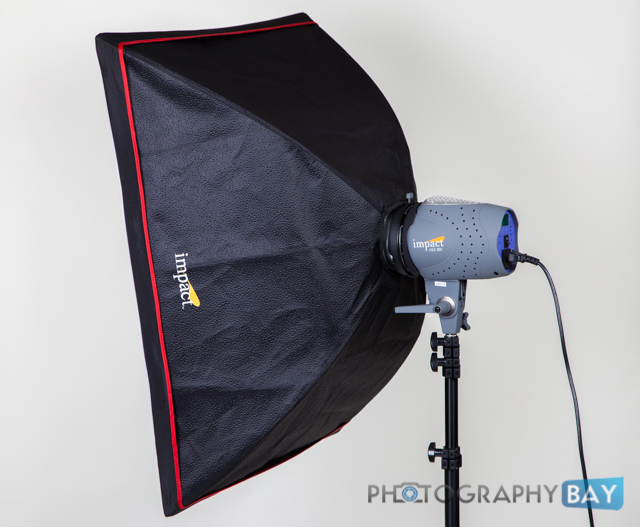 The Impact VSD300 monolight and softbox kit is an all-inclusive lighting kit that contains the basics of what you need for an indoor 2-light studio setup. At the time of this review, the full kit is available for $458.95 from B&H Photo. Just looking over the basic specs of what’s included and it is apparent that this is a good deal of gear for a rather small price. The VSD300 itself runs about $240 and is a few notches above the very basic Impact EX100A in terms of features (read my prior Impact EX100A review). The VSD300 has push-button controls for all of its settings, including the power adjustments, which are adjustable in 1/10 stop increments across 4-stops from full to 1/8 power. I would have preferred to see a dial to manually turn for power adjustments that allows me to make bigger adjustments more quickly. It’s not overly cumbersome; however, it is just one of those little convenience things. That said, the controls worked flawlessly so I can’t complain too much. The VSD300 has an auto dump feature (something not found in the basic EX100A) that pops the flash automatically as you lower the power setting. In the EX100A, you have to do this manually – otherwise, when you take your first image after dropping the power level, you are still shooting at the same power setting you dropped down from. 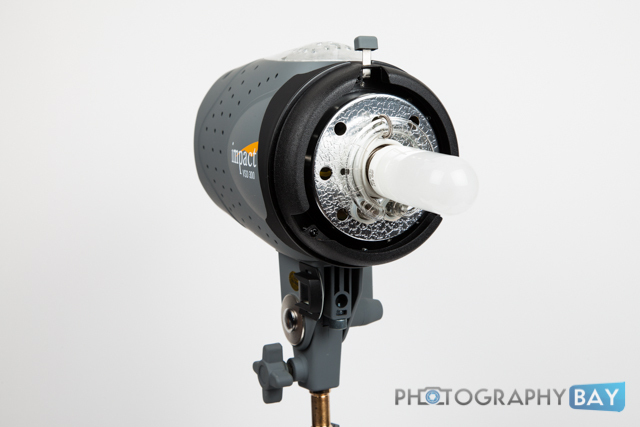 The VSD300 accepts Bowens monolight reflectors and head accessories. It comes with a standard 7″ reflector and a cover that allows you to safely transport the light with both the flash bulb and modeling bulb attached. Two more features found in the VSD300 that were not in the EX100A includes a switchable optical slave sensor and recycle beep. These are, perhaps, the two most frustrating things about the EX100A and (aside from the additional power) key reasons to consider the VSD300 over the lower-end EX100A. If you want to use the optical slave to trigger the VSD300 from another light source, you can turn the slave sensor on. If you don’t, you can turn it off. The solution for lower-end lights like the EX100A is to cover the sensor with gaff tape. Likewise, the recycle beep can be turned on or off. 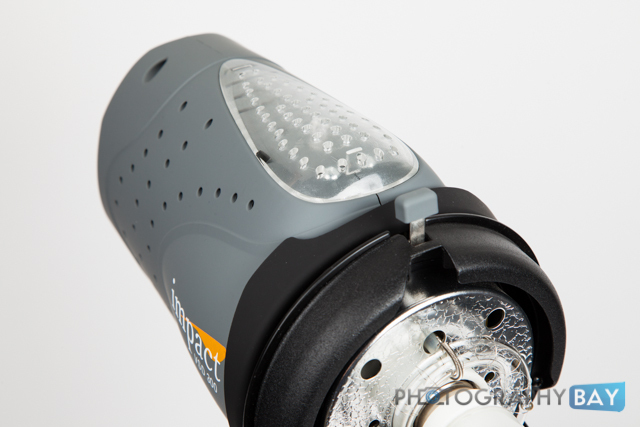 This may not be critical for everyone; however, if you are photographing newborns or otherwise need to keep noise to a minimum, you really need a light that can be operated without a loud recycle beep after every flash pop. Additionally, other common features for the VDS300 are a test button and a 100w modeling light that can be ran free or proportional to your strobe power output. A sync port accepts a standard miniplug cable, which is included with the light. 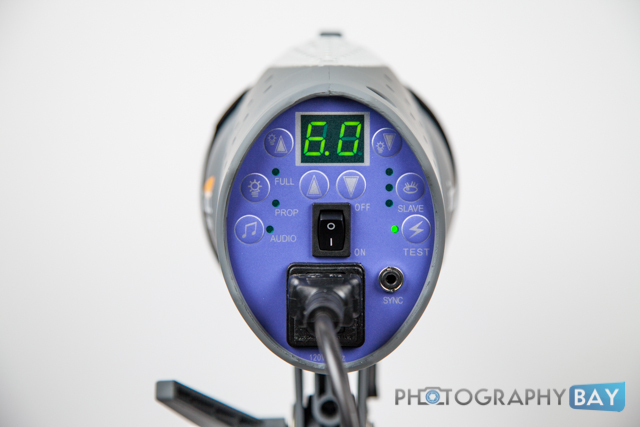 The included softboxes are quite generous in size for such an affordable kit. Typically, you see a 20″ or 24″ square softbox included with a monolight kit in the this price range – and often just a single softbox and an umbrella. The 24×32″ size is a nice, standard size for portraits for 1-2 people. An internal baffle further softens the light for a very pleasant soft light. The included Impact stands extend up to 8′ and are rather typical stands you’ll find in these starter kits. There are no exceptional bells and whistles and the build quality is acceptable for these lights; however, they are not the caliber that you’ll get from a good set of Manfrotto light stands. Of course, you aren’t paying the premium for their inclusion in this kit either. 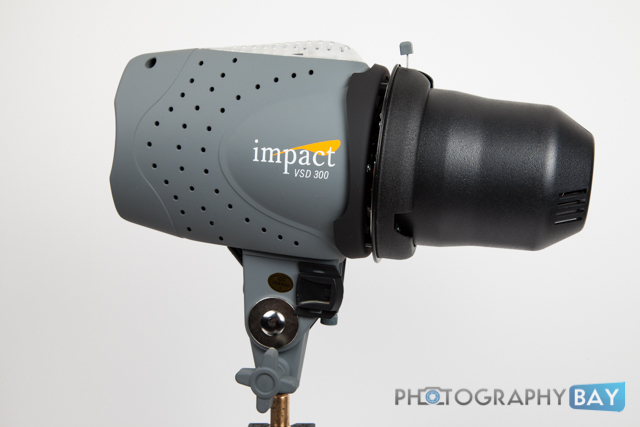 Overall, the VSD300 monolight and softbox kit is well worth the price of admission. 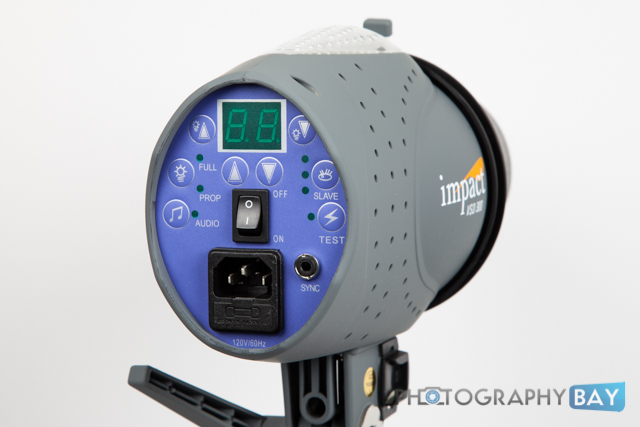 They perform admirably and have many of the features you expect to find on more expensive monolights. While there a couple of little things that didn’t fit my personal preferences (e.g., the push-button power controls instead a dial), the minor criticisms don’t hold back a solid recommendation. Additionally, the pair of included 24×32″ softboxes are just icing on the cake. Highly recommended. Is that a cold shoe spot on the right side of the body (if facing the back panel) of the monolight for placing a radio trigger? Because that’s pretty awesome if it is. 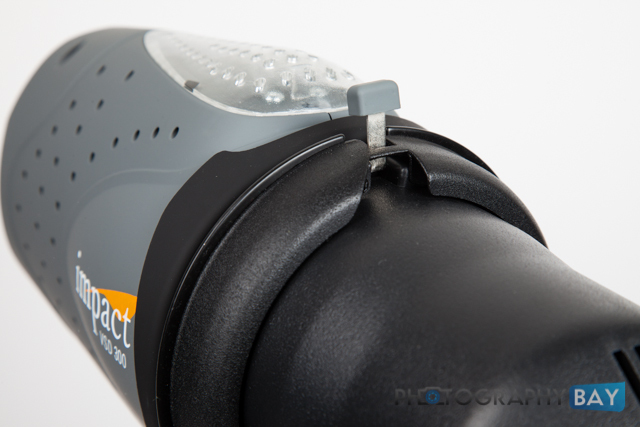 I currently have to dangle my phottix trigger from my flashpoint M monolight. It would be sweet to have a cold shoe to slide it into to keep it from hanging from the sync cable. Nice quick review. That’s actually a cold shoe that came with the Impact PowerSync 16 wireless trigger that attaches to any light or surface with 3M tape. There are a couple included with the PowerSync kit. It’s currently under review as well with very positive results so far. Since I was testing it alongside this light kit, I attached one of the cold shoes to the VSD300. Expect the full review soon.